For those without a clue what this is about. 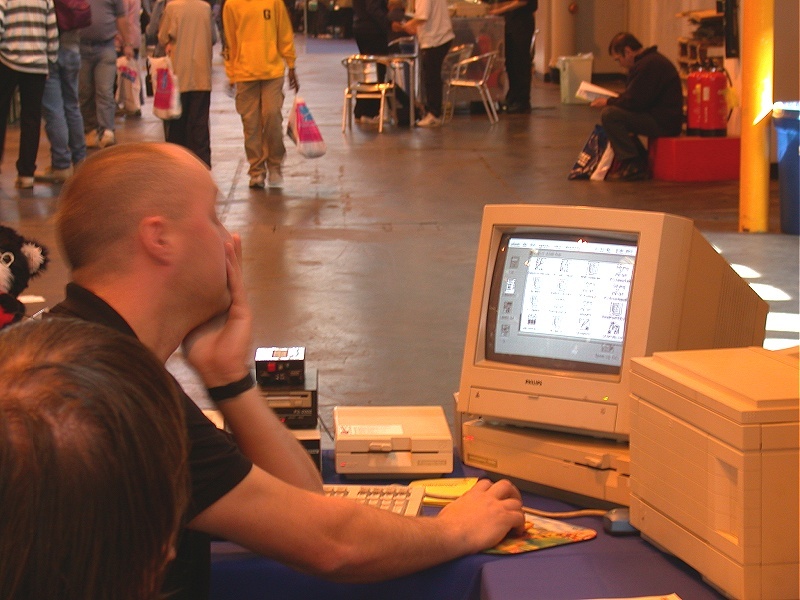 On Saturday 21st September 2002 MicroMart (as in MicroMart magazine fame) held a huge computer fair. The fair was a huge success, with many vendors and lot's of free gifts :) after all that's why people attend such events. Although I purchased lot's of PC goodies, my primary reason for attending was actually for their Retro Computer Feature. You may have thought that such a feature would seem a little out of place at such a huge PC type event. Instead, we retro nuts were given a real treat. 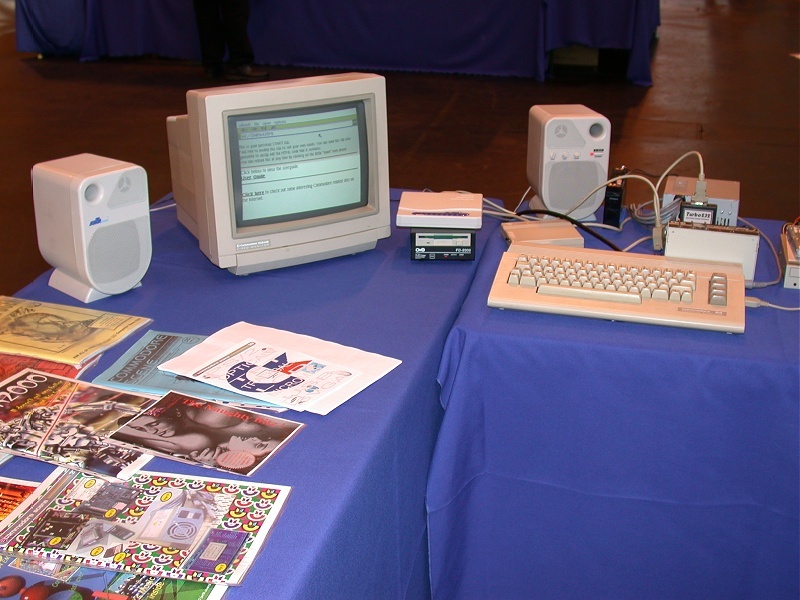 There were Oric's, Spectrum's, Dragon32's, Atari's, and Amiga's. 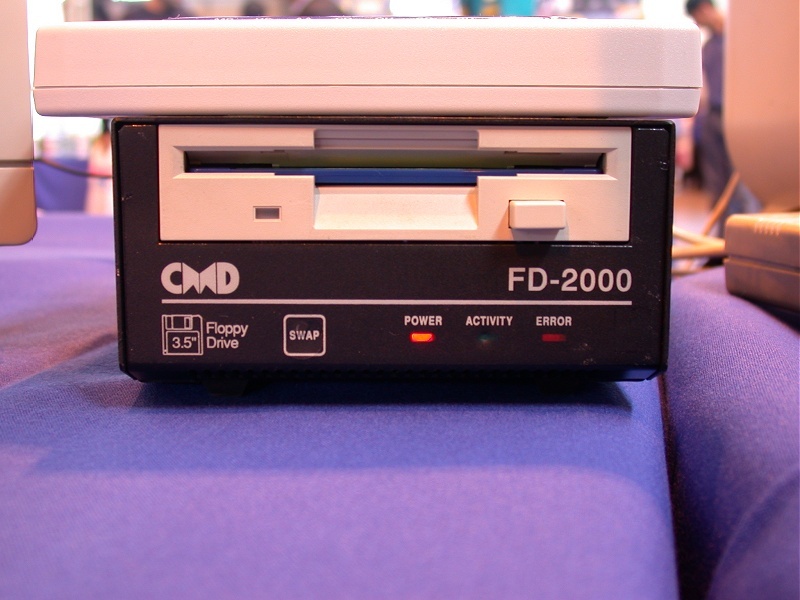 Best of all though..... there were C64's!!! and lot's of them. 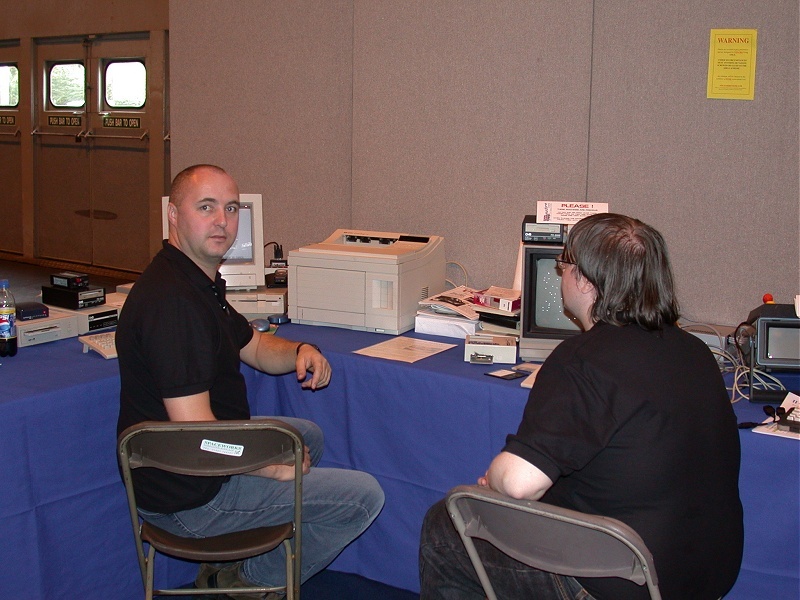 Thanks to the dedication of such people as Shaun Bebbington and Allan Bairstow, each who continue to give the C64 public face. Shaun through his wonderful retro article features in MicroMart magazine, and Allan through his work on Commodore Scene magazine. We were by no means let down. Shaun had gone out of his way to ensure the Retro computer feature was both well researched and regimentally organised, right down to each persons floor placements. A job sadly which I failed to give Shaun due credit for. 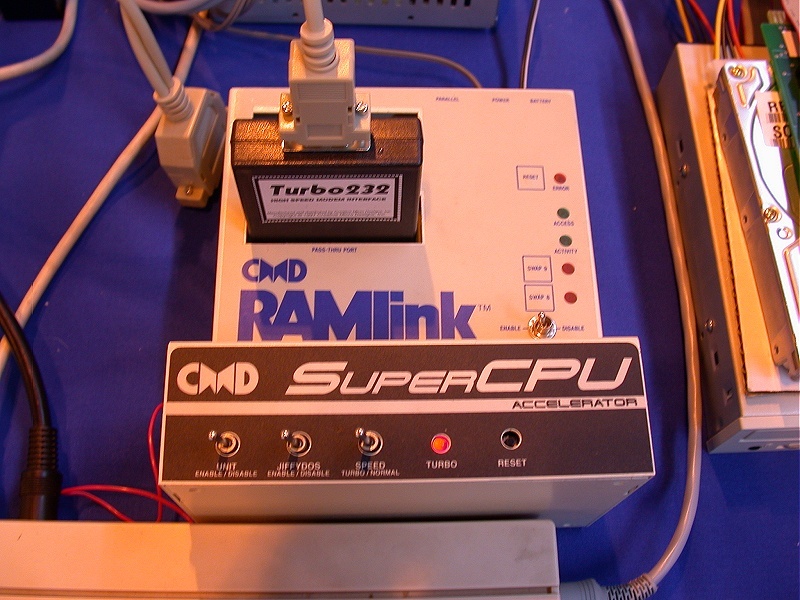 Along with Shaun's organisational skills he also supplied a large number of retro equipment items found on the stands (many pictured below) including; SuperCPU, RAMlink, SmartMOUSE, FD2000, Vic 20, CBM 4032, and Vic 1010. 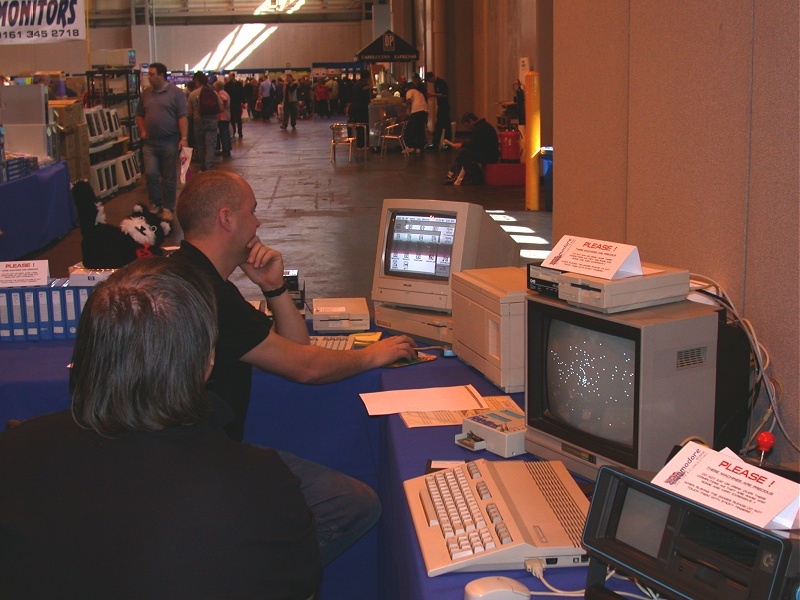 Although at the show I didn't get the chance to meet Shaun I did have the pleasure of meeting both Allan Bairstow, and Andrew Fisher (writer for Commodore Scene who came along to offer technical expertise) who were both very nice people. I arrived at the show with my wife Victoria around 10:10am on Saturday (only 10 minutes after opening time). 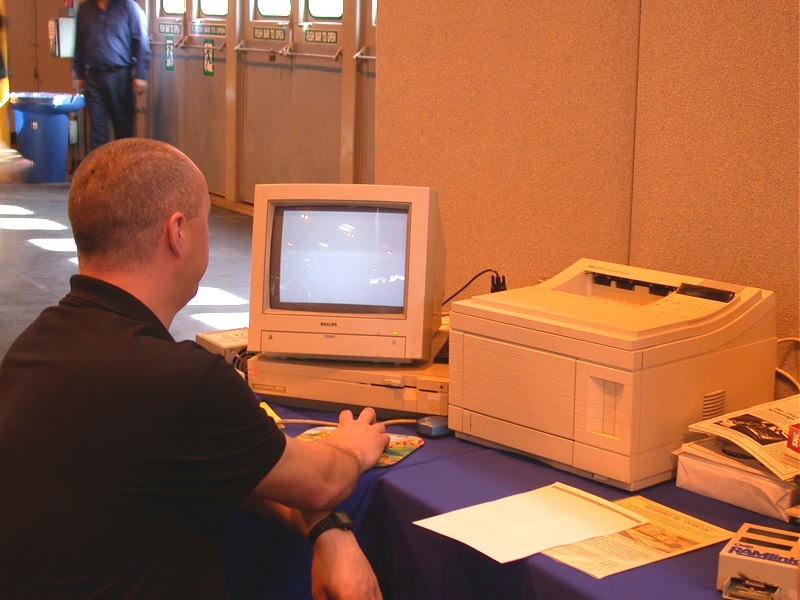 Allan was frantically trying to get a C64 working with a LaserJet 4 printer which Shaun had brought along. It seemed like the good ol' computer show gremlin which hits all techie types at these events, had reared it's head already :) Things were looking more promising when I came back to their stand later in the day. 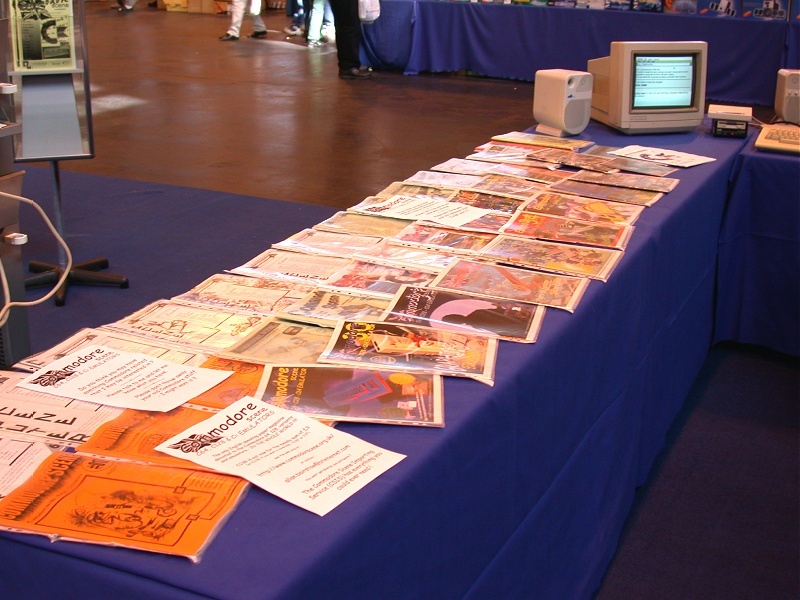 Allan had laid on a number of old issues of Commodore Scene magazine, which visitors were free to take, and which had nearly all gone by 1:00pm! 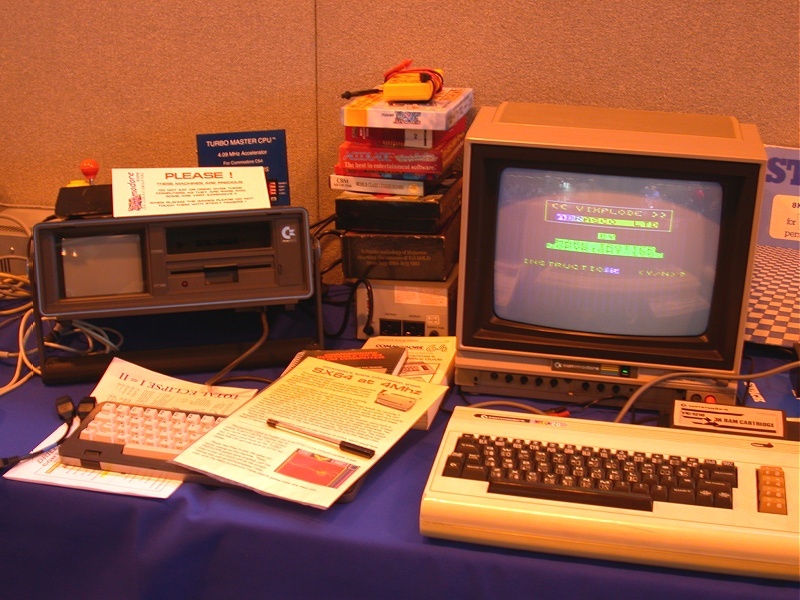 My favourite feature at the stand was a C64 hooked upto a Commodore monitor and 1541mkII disk drive with 4 joysticks running Protovision's Bomb Mania game. On the whole I was very impressed with the display that Shaun and Allan had put together, and felt they did a really great job! Well done guys! 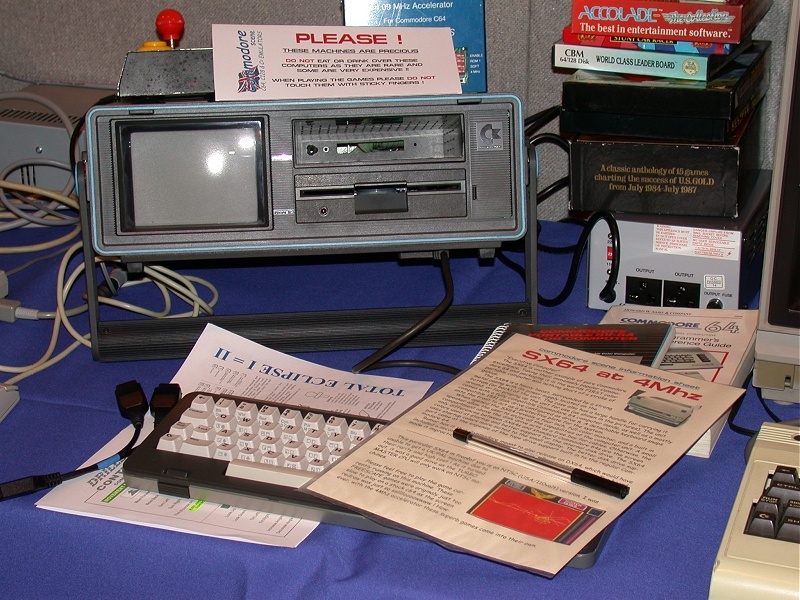 - We must not forget to thank MicroMart for allowing them to host the Retro C64 Feature in the first place. On a final note the actual computer fair itself was also great, and hopefully will inspire MicroMart to do it all again next year.